I began the Pond series in 2009 as an homage to the wetlands near my home in Kingston, Ontario. 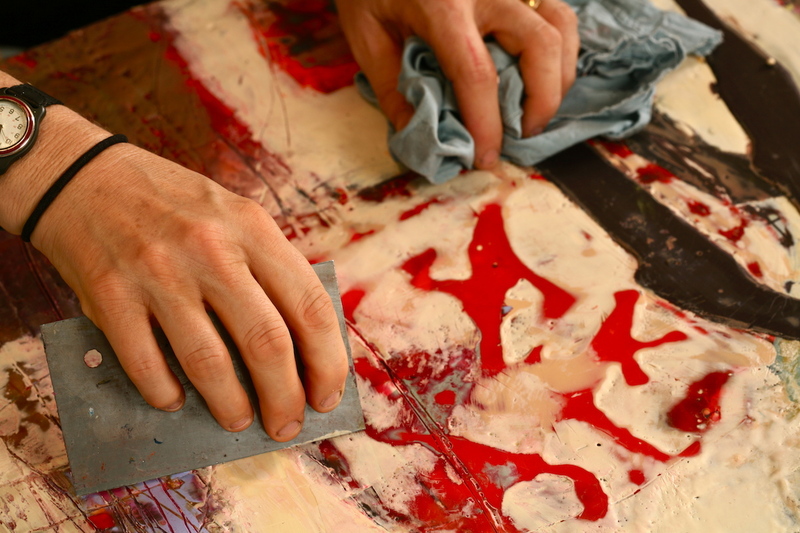 My painting process is instinctual, spontaneous and quite physical. Rich layers of pigmented beeswax are gouged into, poured, and torched creating rowdy and random markings.